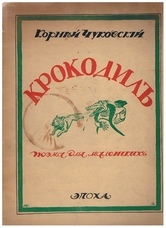 Home » Russian children's books » Krokodil. Poema dlya malenkikh. Chukovsky and Remizov or Re-Mi. Tall quarto, 23.5x31cm, 54pp.. Original fragile printed and decorated wrappers in red and green. 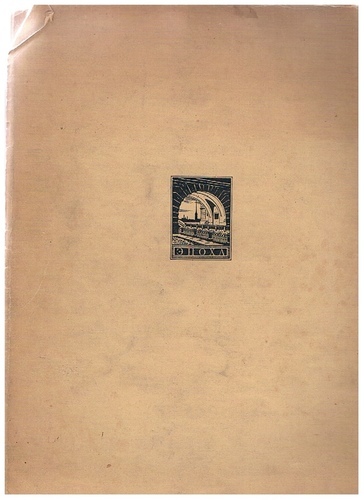 Illustrated by Nikola Remizov (Re-Mi) but cover design by N.Z. (?). Wrappers chipped at spine ends, cup-ring to upper cover, internally browned with some chipping at edges, some pages a little loose, no loss. Generally, a good copy. 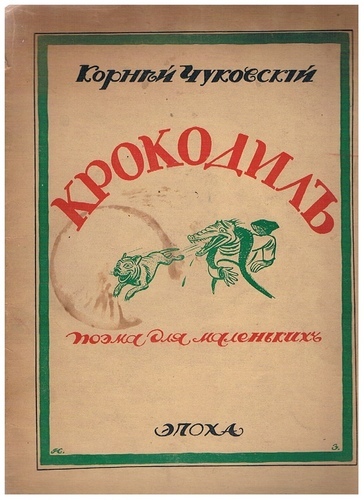 ; Kornei Chukovsky was the father of modern Russian juvenile literature. 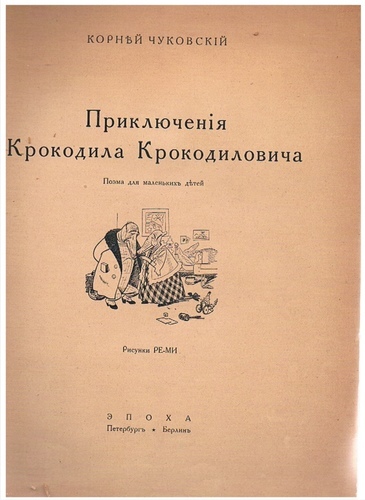 His most famous work "Krokodil", illustrated by the artist RE-MI (Nikolai Remizov), originally appeared in the periodical Niva in 1917. Because of its satirical nature, the poem soon ran into problems with the censors and for a time was banned. This is an early Berlin edition by the Russian publishing house Epokha. The Twenty-four Ivans. A Russian folk Tale.